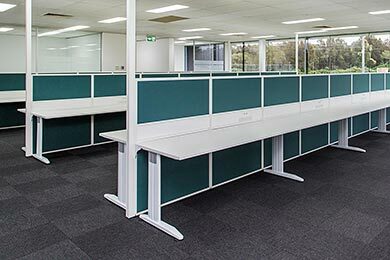 Sydney's award winning office fitout company has the knowledge and industry expertise to build stress free commercial office fitouts. Innovative interior design coupled with competitive costs makes us hard to beat. Use our cost calculator to estimate the initial cost of your project. Apex Executive Interiors was founded on loyalty, honesty and openness. 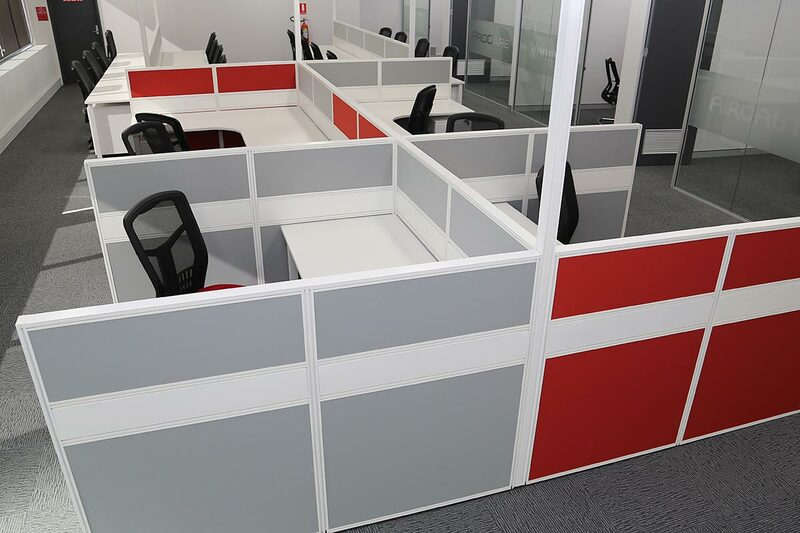 We are committed to designing and building high quality commercial office fitouts featuring stylish yet functional interiors at an affordable price. An integral part of our companies service is providing a dedicated project manager. 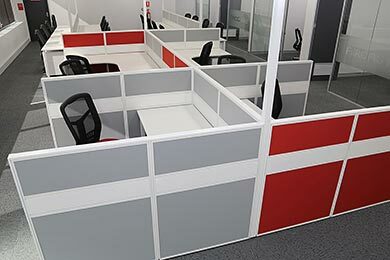 They will support and advise you throughout every stage of your companies office fitout from the initial consultation through the construction phase and post project support if needed. Our primary focus is to ensure minimal disruption to your companies day to day business and a seamless transition into your new work environment. Whether your refurbishing an existing space or need a totally new workplace built from scratch were here to help you achieve your goal. Using our extensive knowledge and award winning industry expertise we can help companies streamline their business processes while reducing associated costs. We will help you avoid costly mistakes by identify your companies requirements and advising on suitable building locations and commercial spaces. 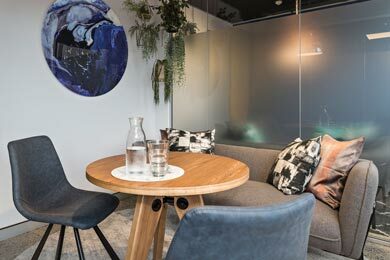 Renowned Australia wide for creative and innovative interiors we consistently design commercial office fitouts that combine great style with functionality. We can transform the inside of any building, refurbish and adapt your current workplace or construct a completely new office fitout from scratch. Because we deal with the entire process we can guarantee a stress free project with minimal disruption to your companies day to day business. Activity Based Working (ABW) should be a top priority for every new workplace interior. 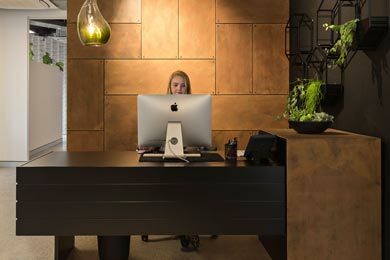 Good ABW design creates a better workspace for employees, it increases productivity and improves floor space efficiency. Over the last 10 years we've developed a strong working knowledge of many industry sectors. Successfully delivering projects based on understanding the specific issues and challenges for each one. 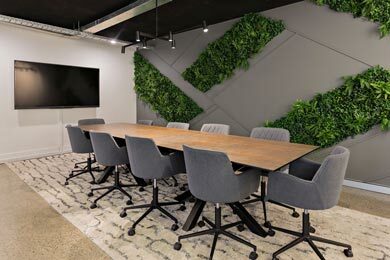 Design and fitout an Activity Based Working environment. 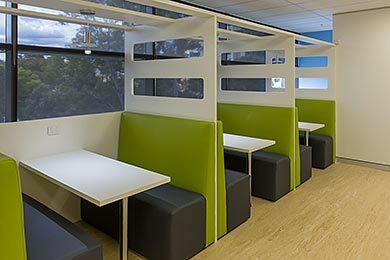 The dynamic fitout has a variety of activity zones and spaces. Allowing the employees to work how, when and where they want. 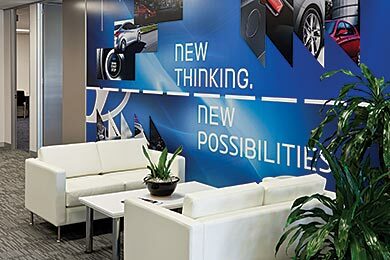 A high quality office fitout was built for Hyundai Southern Regional. The project was completed to a high standard using a 'can do' attitude and handed over within a very tight timeframe. After finding a new location for Settlement Services International we built their new office fitout. With up to 100 visitors a day they needed separate access for staff and 10 customised interview rooms. Our award winning team have put together a step by step office fitout guide to help you avoid some of the common mistakes we see. Do you operate outside of Sydney? Yes, we have successfully completed projects in most states around Australia and are fully compliant with all relevant regulations and insurances. Our licenses enable us to work in New South Wales, Queensland, Victoria and the ACT. 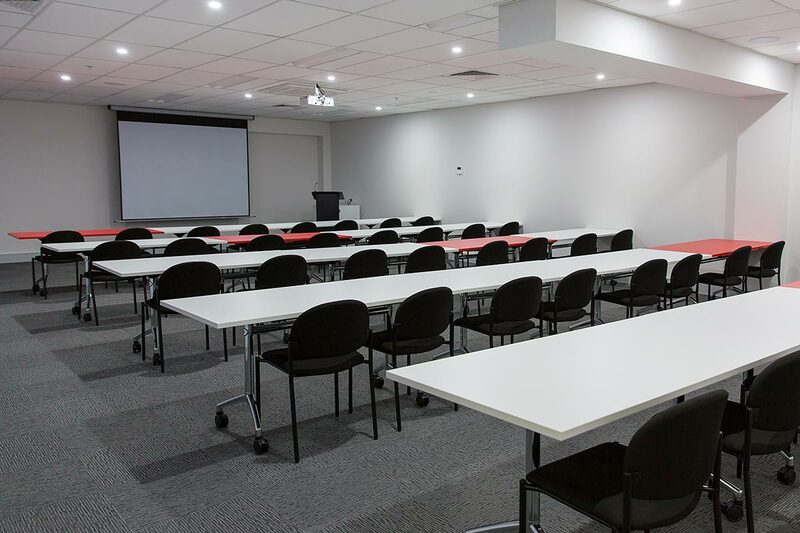 How much does an office fitout cost in Sydney? 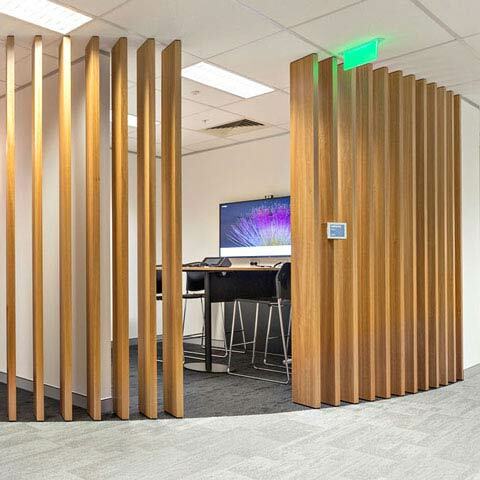 Size alone doesn’t determine the cost of an office fitout. There are many other factors to take into account, such as: the company's business objectives, how it needs to function, the level of finishes, and the quality of the furniture. Some works can be purely cosmetic. Others can include structural changes. Moving a wall by one metre can have a domino effect on related costs which may include electrical, data, air conditioning, ceilings, painting and carpets. How long does a refurbishment take from start to finish? The average construction time of a refurbishment takes about 4 - 5 weeks for 900m2 and 6 - 8 weeks for 2000m2 (time on site). This is an average time that has been provided as a guide and should in no way form the basis for commercial decisions. We design and build commercial interiors in Sydney and around Australia to a consistently high standard at an affordable price. Gaining our clients' trust has resulted in unprecedented repeat business. 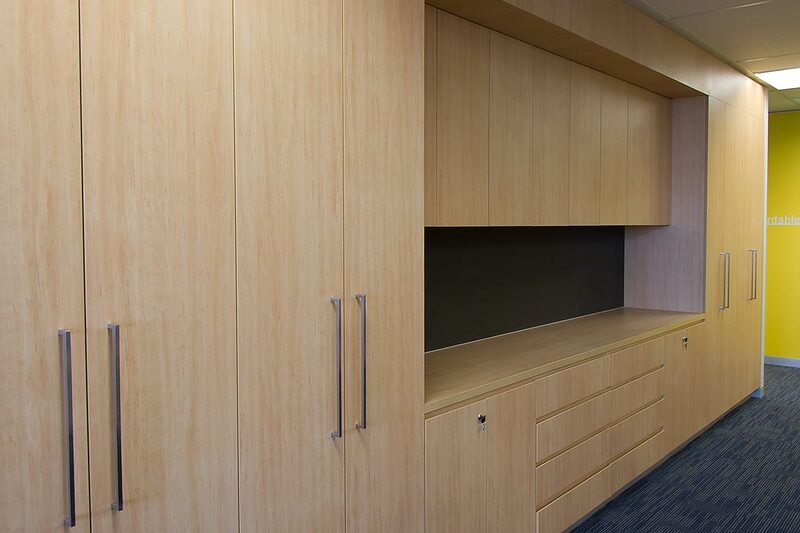 "I have used Apex Executives Interiors on more than one occasion in both the Sydney CBD and Parramatta. There work has always been competitively priced, of high standard and delivered on time. Steve Parkins is very thorough and his eye for detail reflects in the quality of the finished product. I would have no hesitation in recommending Apex Executive Interiors." 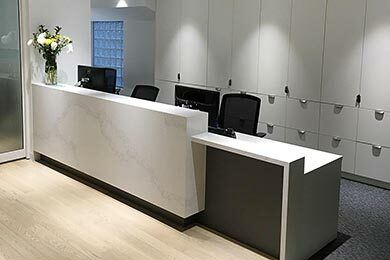 "To meet an international deadline Forbo needed a rock solid guarantee that the Sydney refurbishment would be completed on time. Apex Executive Interiors had no qualms about committing to such a tight deadline, their words were matched by their actions, a thoroughly professional job from start to finish and completed on time. I would not hesitate to recommend Apex Executive Interiors to others." "Apex Executive Interiors have completed our refurbishment project on time and with no fuss. Their quality of work, professionalism, advice and customer service is excellent and I would highly recommend their services to anyone." " Roc Oil Company Limited has dealt with Steve Parkins for a number of years and has never ceased to be impressed with his professionalism, attention to detail and overall service. No job is too big and no request is too small, Steve and the team at Apex Executive Interiors deliver above and beyond expectations." We provide a fully integrated service specialising in large scale commercial fitouts and refurbishments in the Sydney area. 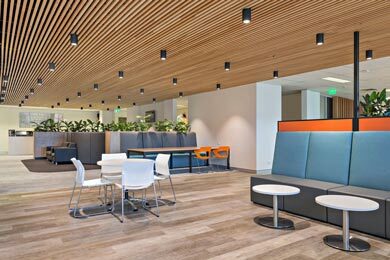 We deliver workplaces that reflect both functionality and good interior design at an affordable price.